How to rip DVD to lossless audio? Home » How to rip DVD to lossless audio? Pavtube DVD Ripper is a DVD to video converter and a DVD to audio converter. It can rip DVD to high quality lossless audio files in lots of formats such as MP3, WAV, M4A, AAC, AC3, WMA, MKA, OGG etc. It features easy-to-use interface, fast extracting speed, rich audio formats support, multi-channel capability, resample to arbitrary sample rate. 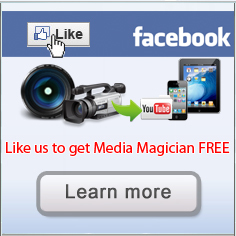 By few clicks you can get audios out of DVD-Video discs, for enjoy on MP3 Player and PC. As a music lover and audiophile I think Pavtube DVD Ripper is a wonderful tool to rip DVD to audio. Step 1. Click "DVD ROM" button to add DVD disc, or click "DVD Folder" button to add DVD files from your computer. 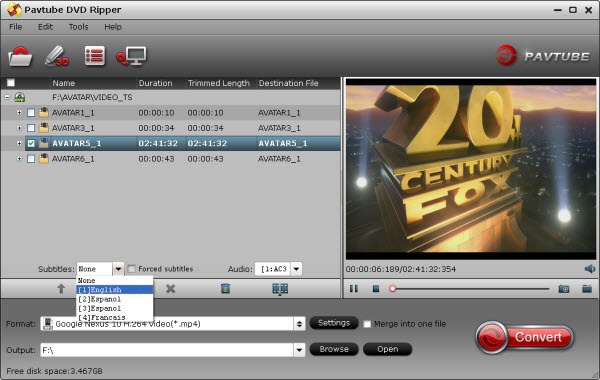 Pavtube DVD Ripper supports batch conversion so just select all your favored chapters from the file list. Step 2. Set output format from the “Format” bar. Click on the bar and choose “Common Audio”, select appropriate format from the submenu. Move your mouse to the output path bar and specify an output folder as you like. Step3. Set advanced audio parameters. Click on “Settings” button and further set audio parameters like Sample rate, Bitrate and Channel to generate high-pinched audio files. For example, you could select 5.1 Channels when output AAC/ AC3 files. Step 4. Convert DVD to lossless audio. Click on the “Convert” button and Pavtube DVD Ripper will extract audio from DVD files and output them to the audio format you set. If you would like to combine all the selected chapters into one file, simply check Merge into one box. If you are interested in this program, please click here to download Pavtube DVD Ripper for free trail.